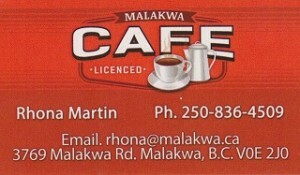 For a delicious home cooked meal and the best fries anywhere, be sure to stop at the Malakwa Café. The Malakwa Café offers a breakfast special every day. 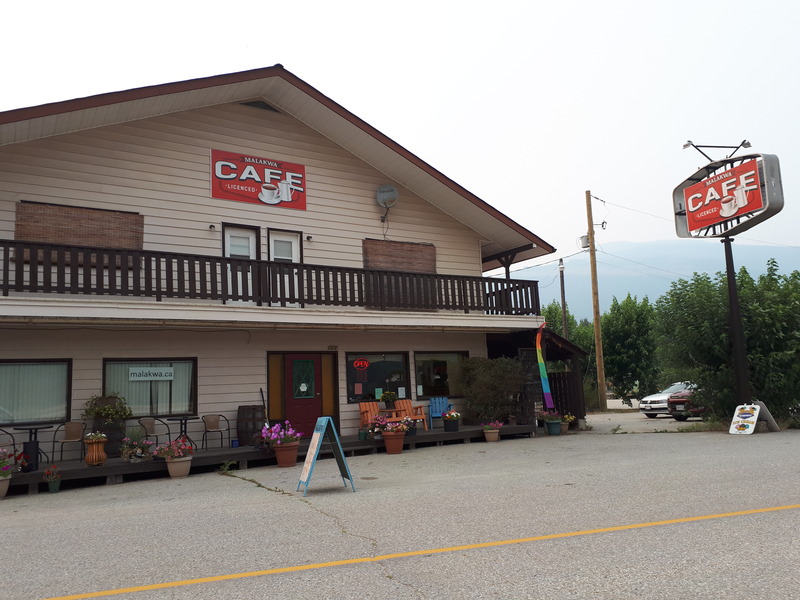 The Malakwa Café is also the home of the Kitchen Wiches Catering. For all your catering needs contact Rhona Martin.